Students using the laptops to complete work. 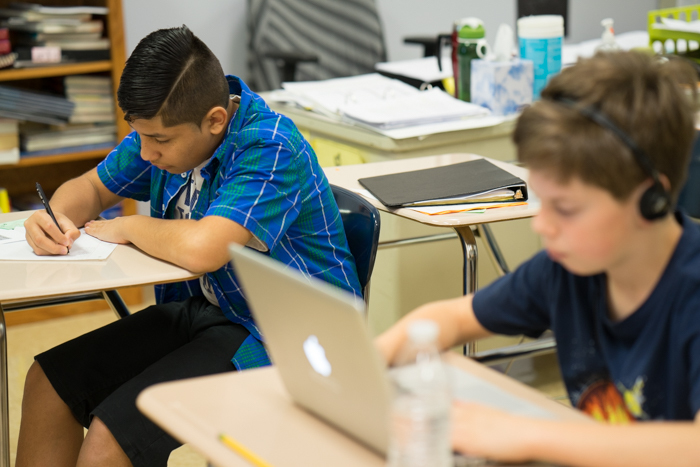 Students are provided with choices about how they complete their work. 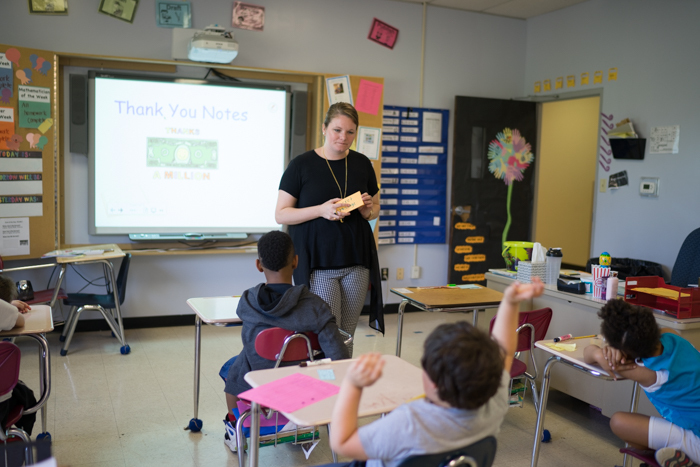 Elementary students participate in a group lesson. 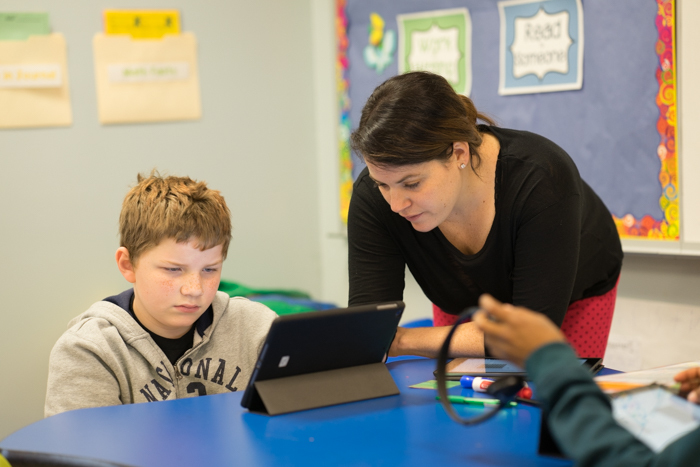 Teachers design lessons with iPads to give students a choice about how to complete their work.